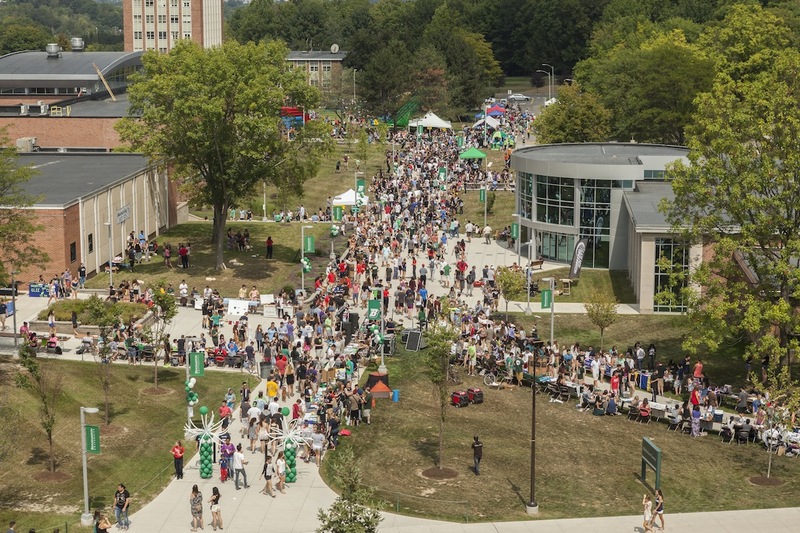 University Fest at Binghamton is a HUGE welcome event that is the perfect way to kick off the semester. 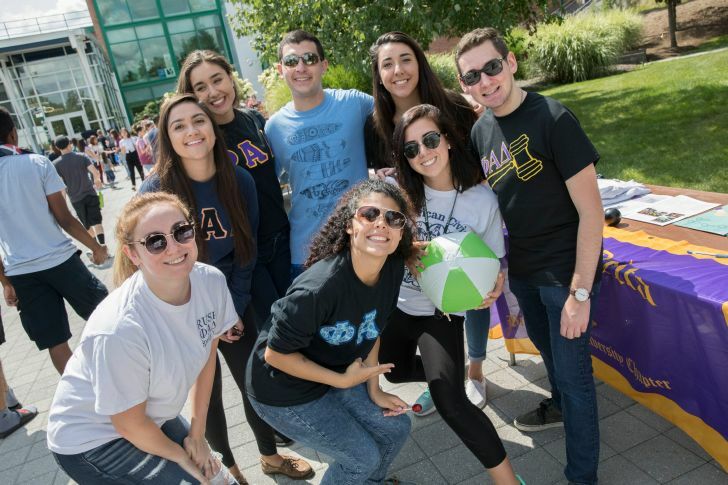 This year promises to be even better with the special celebration of University Fest’s 25th Anniversary. 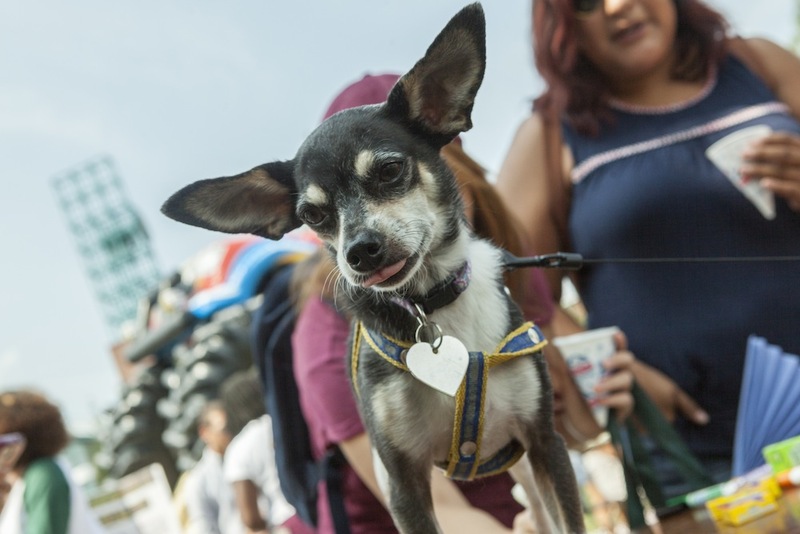 With amusement rides, inflatables, vendors, food, music, tabling for student organizations, and dogs -- yes, I said DOGS -- this is an event that you do not want to miss. In case you need more convincing to attend, check out the list below! To celebrate the 25th anniversary of University Fest this year, we’re making it even more memorable. 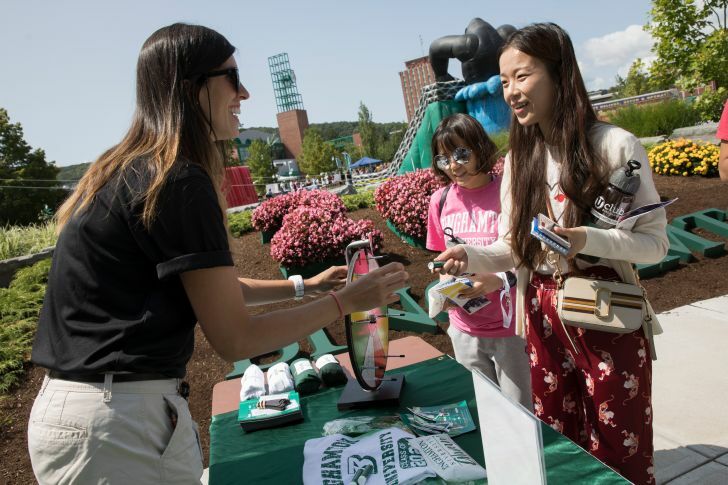 Make sure you visit the green-and-white tent for free giveaways and free raffle tickets for prizes, such as Beats wireless headphones, a Fitbit Charge 2 and many others, including one big prize. 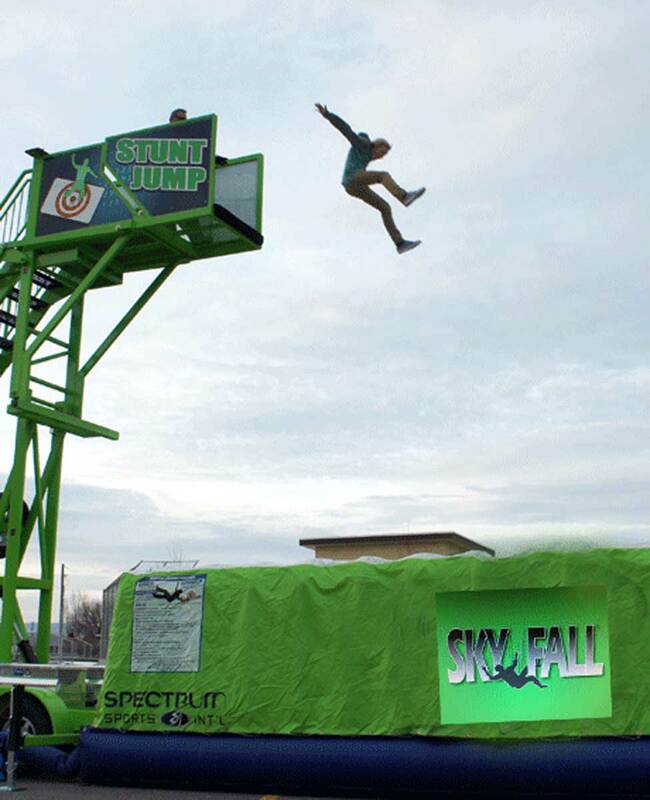 This year also features two new attractions: a stunt jump for the truly brave and a Zorb Ball track. Ever hear, “The best things in life are free”? Enough said! 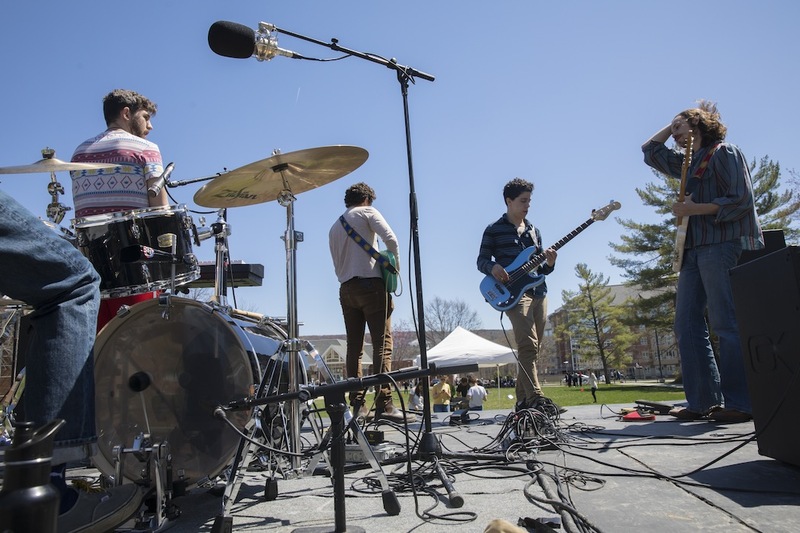 Over 250 student organizations and departments combined will be tabling at this event. 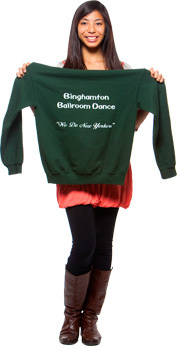 Check out everything Binghamton has to offer and get involved with activities that interest you! It’s a great way to make new friends and venture out of your comfort zone. 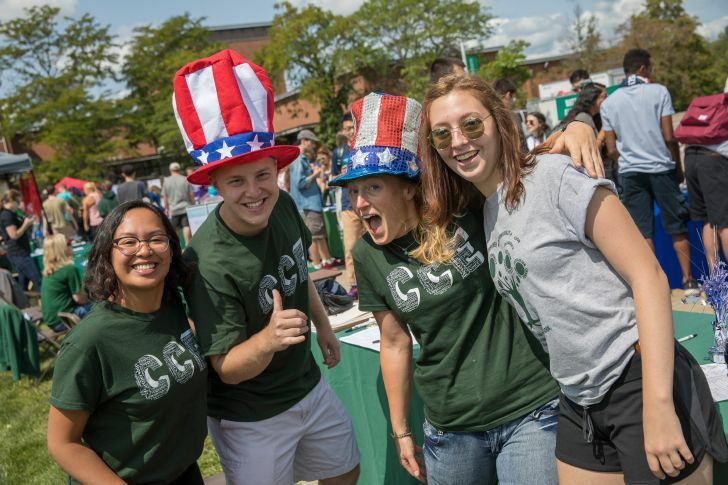 Hop your way through the giant inflatables, launch yourself off the stunt jump or ride to the top of the Ferris wheel for the most epic view of campus. 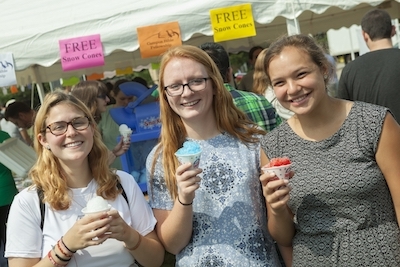 Whether you’re hanging with old friends or making new ones, University Fest is your opportunity to meet people and engage with the campus community. Listen to good tunes in the company of great friends. What’s not to like? What really is there more to say? They'll be plenty of sweet treats to go around. This year’s parade theme, 'fancy’, is sure to be an overload of cuteness! Come and watch these doggos strut their stuff. If you’re still thinking about staying in your room after all of the reasons I’ve given, here’s a look into all of the fun you could have!